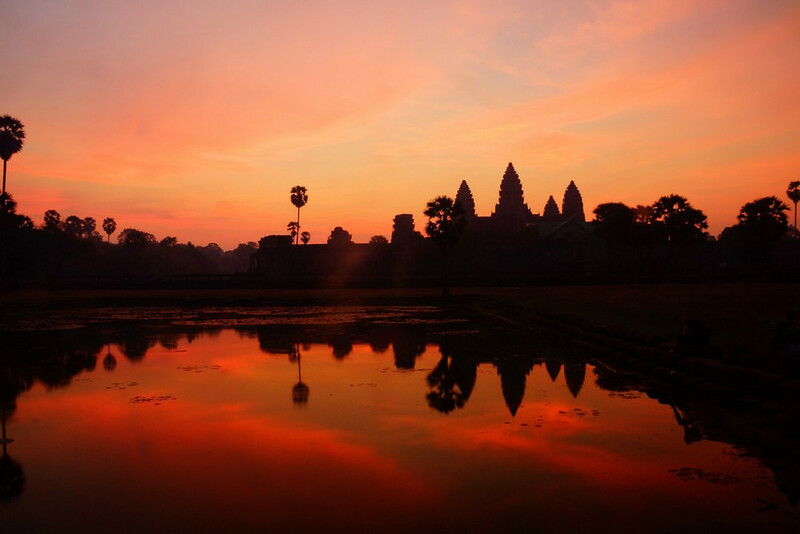 Few famous attractions around the world live up to the tourist hype behind them, but the magnificent Temples of Angkor – and specifically Angkor Wat – truly are an exception. 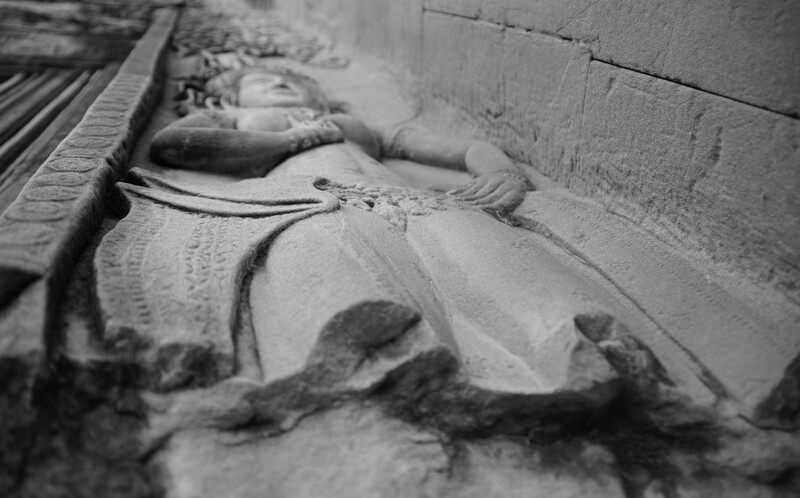 When I first set foot on Angkor Wat back in 2008 my body was covered in goose bumps from the anticipation. Fast forward to 2013 and I’m visiting the temples again for the fourth time and I’m still just as blown away and in awe as I was back in 2008. This time around has been an even more of special experience because I’m enjoying them for the first time with Audrey Bergner. 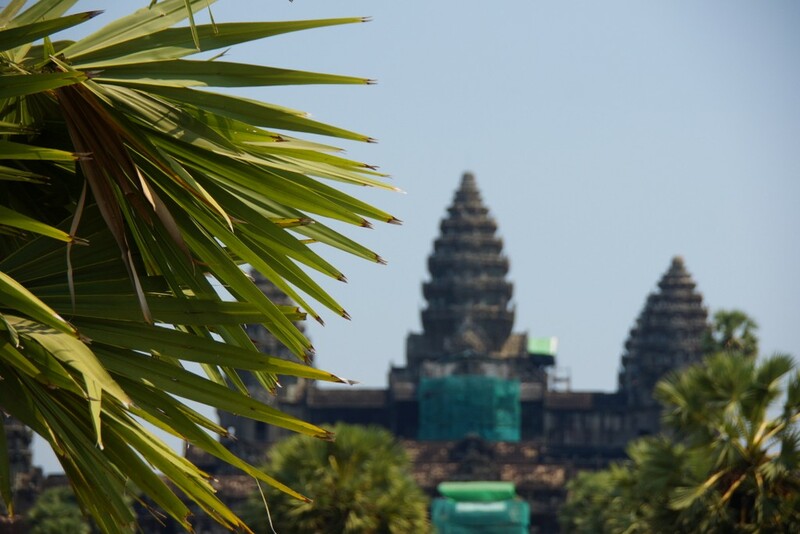 As the largest religious monument in the world, Angkor Wat looms large as the focal point of the many temples of Angkor. 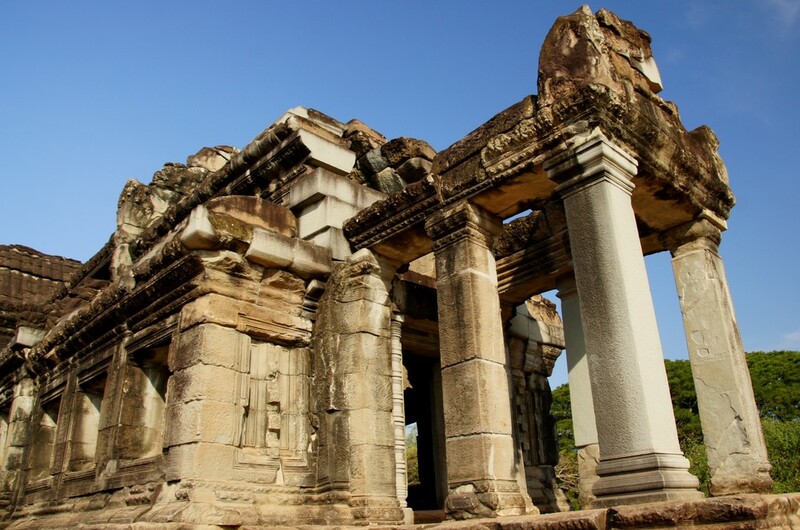 Commisioned in the early 12th century by Tamil King Suryavarman, the Hindu temple was dedicated to Vishnu. The moat and outer wall of this gigantic temple comprise an impressive 3.6 kilometers! For those exploring Angkor Wat, Cambodia it’s best to wake-up early for sunrise although you won’t be sharing this experience alone. An alternative to the classic ‘pond shot’ is to approach the temple from behind where you’ll get shots of the temple facing the sun as opposed to waiting for the sun to appear. 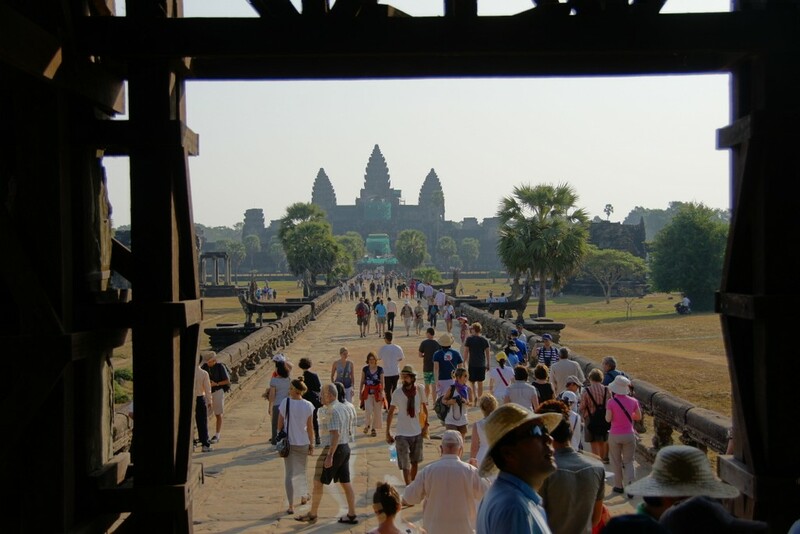 Crowds of tourists flocking towards Angkor Wat through one of the many gates. 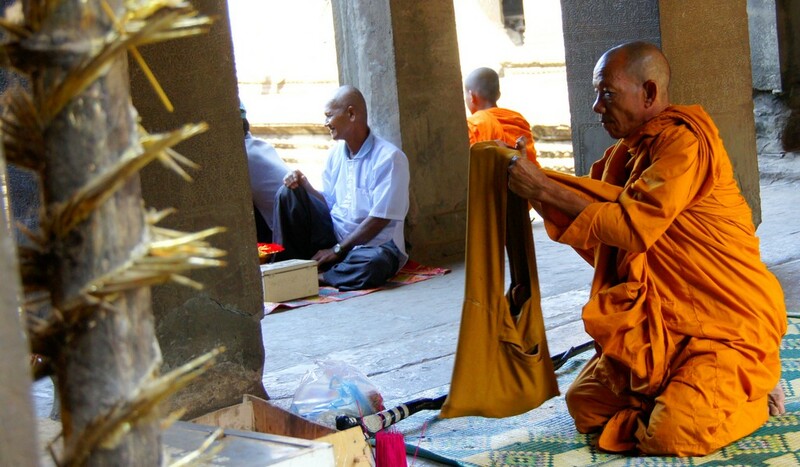 This is a photo of a Cambodian buddhist monk from 2011. 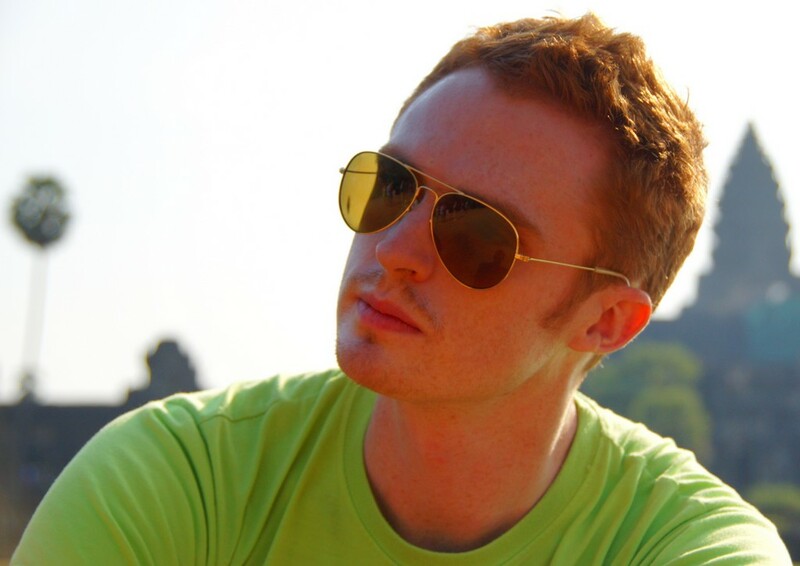 This is a photo of me from when I visited Angkor Wat back in 2011. Visiting the temples with my girlfriend has made it even more special this time around. Visiting the temples of Angkor is a family affair. 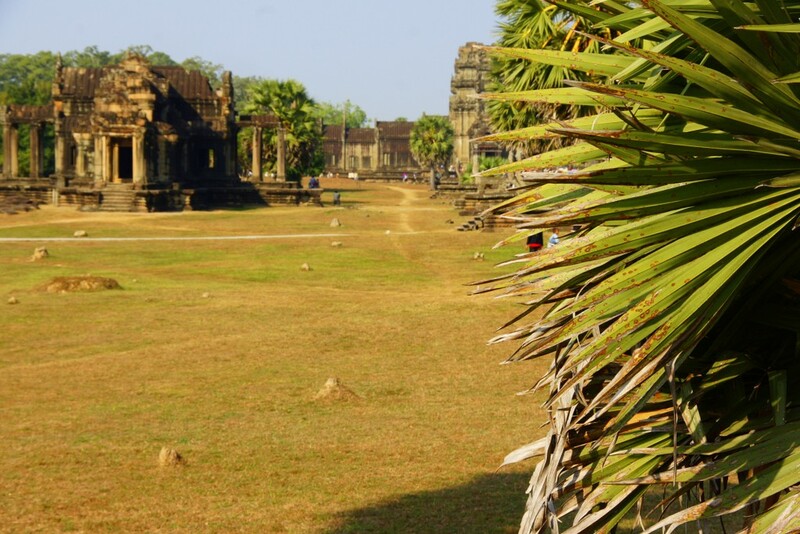 Think you’ll have Angkor Wat all to yourself? Think again! This is what it is like visiting in 2013 with the mass crowds. I’m in awe of the level of detail and intricate carvings found here. 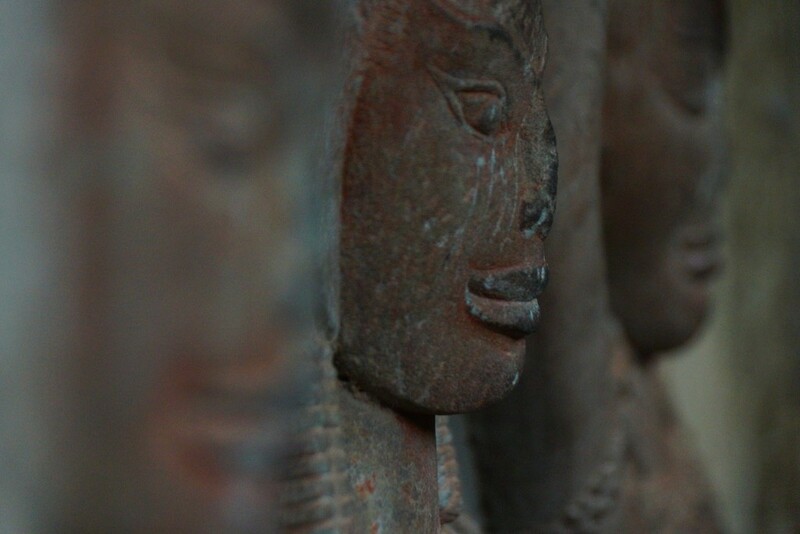 Horses and other animals wearing decorative masks are common place in Angkor Wat. One can’t truly appreciate the true scale and size of Angkor Wat until witnessing it in person. The sheer size of the Angkor Wat will blow your mind away. 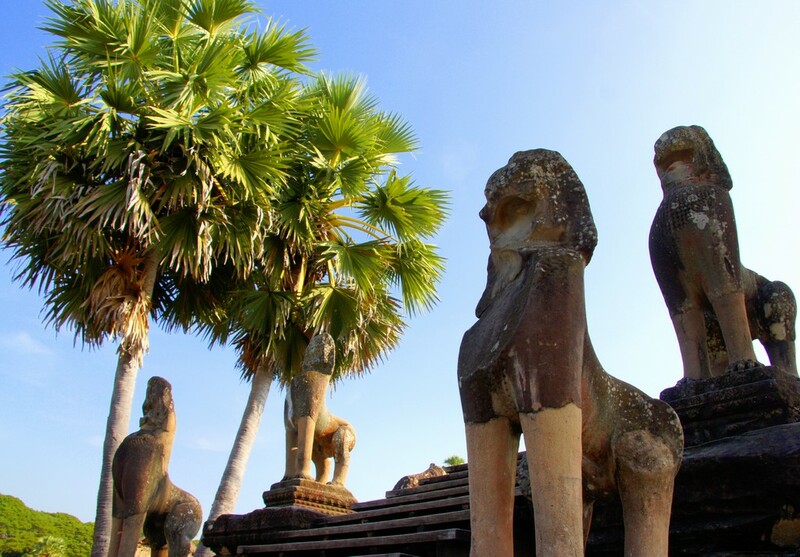 When visiting Angkor wat it’s a great idea to wander around the peripheral areas. 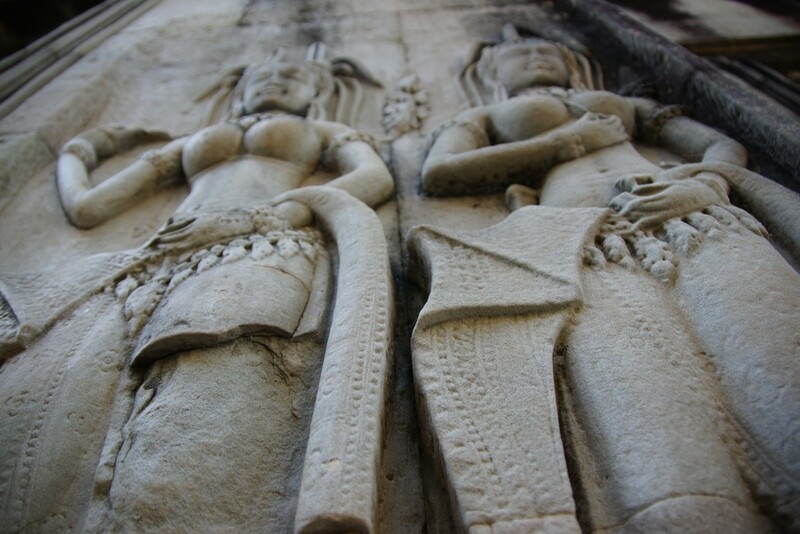 The bas-relief carvings a fascinating aspect of Angkor Wat and many of the other temples of Angkor. This stone cold smile reminds me of Bayon, Angkor Thom. When visiting the temples you can use various vantage points and angles to capture some impressive photos. As a travel photography tip try and find a unique way of capturing the temples. In this picture I used tree to frame this shot. One of the many lion statues guarding the temples. 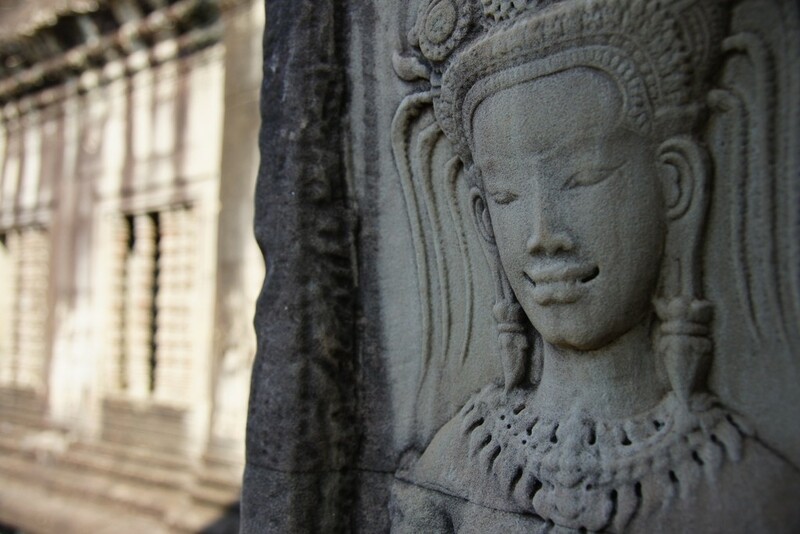 One of the many faces you’ll see when visiting Angkor Wat. This is a recent video I took while exploring Angkor Wat. It’ll give you an appreciation of just how crowded it is in the morning. Tamil King? Who fed you that b.s.? Angkor Wat Was built by Khmer King Suryavaraman II of the Khmer Empire. 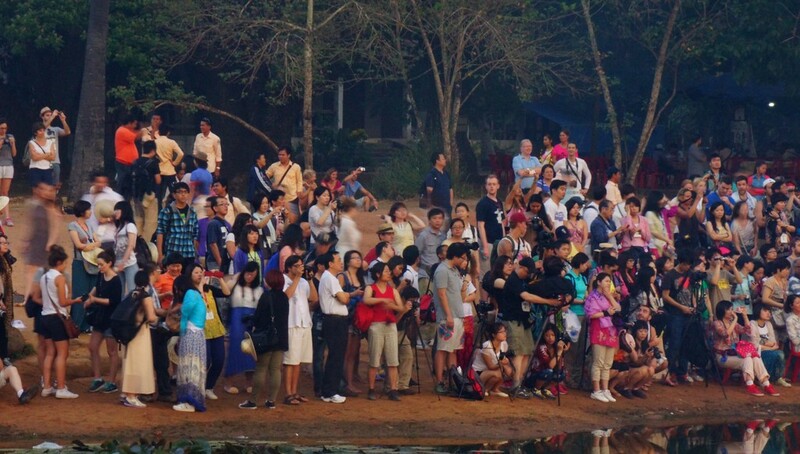 Especially I love your sunset and tourists flocking towards Angkor Wat pictures. I like this temple great architect, design & stone carving statues. Great Click of magnificent Angkor Wat temple! Amazing photos Samuel! We had planned on finally getting to Cambodia late this year but as it goes for a traveler, our plans have changed. But we have promised ourselves to get there next year! It looks truly amazing… especially in that sunset photo – wow! whoa!! that sunset photo blew me away. I wanna see the sunrise and sunset when I and my husband go back here..
when we went to see the sunrise, we rode the bike and just imagine how i pedaled so hard and prayed for the sun not to rise fully yet… gahhh our sunrise experience wasn’t so spectacular!! Angkor Wat is massive, drained my energy here, seriously. And guess what, we went during the Khmer New Year. Can you imagine the thousands of people walking in and out? As usual, I love the photos!! Great photos Samuel! 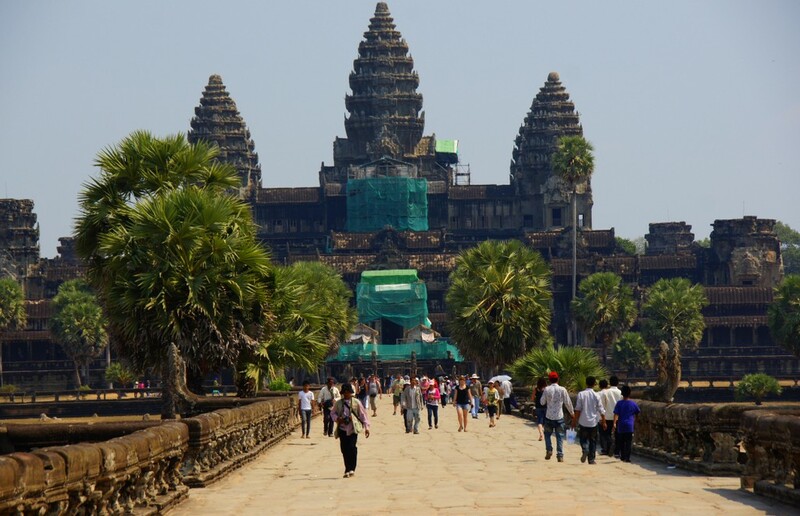 Angkor Wat has been on my ‘must see’ list for a every long time and finally I will be there later this year! I hope you get to visit. It’s quite the journey, but definitely worth it! Nice photos Sam. It certainly is a photogenic place! Thanks Cam! The temples are fascinating. some great shots in the Sam – I loved wandering around there, it’s a great place to photograph. Totally agree that you need to visit the many random temples around it though! Thanks Chris! Yeah, it really is a wonderful place to visit. That first photo is amazing! 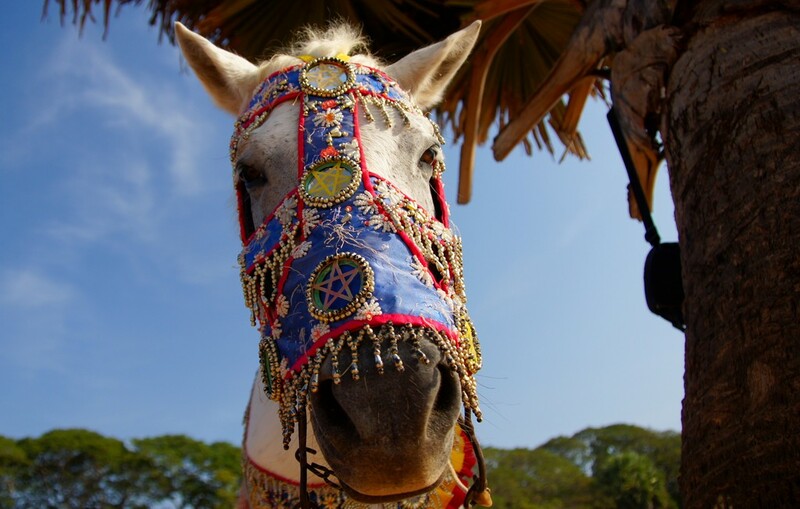 And I love the horse with his fancy headgear. Excellent photo essay, Sam! I especially love the sunset photo and the one of the Buddhist monk. It’s a shame that the scaffolding obscured an otherwise perfect view of the temple; it seems to happen everywhere I go, too! Hope you and Audrey are having a blast livin’ it up in Cambodia. Cheers from snowy (and still cold) Canada! Thanks Ryan! I hope the cold weather you’re experiencing is soon over. I’ve heard it’s been a brutal spring in many parts of Canada this year. Stunning images ….. except the one of you :p An awesome place to visit which is difficult to get some different images of so well done again. That sunset image is fantastic must have required some patience to wait until all of the tourists had toddled off back to their hotels. I have a feeling this won’t be your last visit. Some nice shots here, we had a white sky that day so nice to see it with a blue sky! And just think some of us have never seen the Temples once. Totally awesome photos sir and thank you for joining me on Twitter! I hope to get there in two years and experience them at Sunrise like you recommend! Safe Travels mi amigo!!! 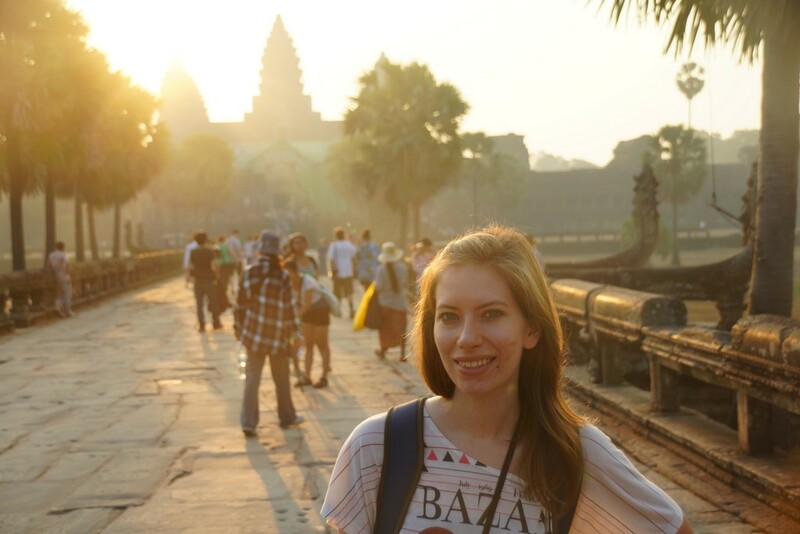 Hi Samuel, I visited Angkor Wat by myself in 2005 and I revisited it last November with husband and yes it was also special for me the second time around:) Although there was that green scaffolding, the temple is still majestic. Beautful photos and really good photography tips. I was there in 2009 and it was disappointing to see that front side of Angkor Wat temple had that green construction tent… and now four years later it is still there. Do they really work on it? Hahaha…I know what you mean! It seems to always be ‘under construction’ as are many other temples. I kind of miss the good ‘ole days when I nearly had everything to myself and there wasn’t any construction going on. Angkor Wat is one of those photogenic places I never get tired of looking at.. you did a great job getting some angles and perspectives in these that I hadn’t seen before.. Awesome photos Sam! Thank you very much! I’ve been lucky to come a few times, so I’m always looking for new ways to experience the temples.